"For once you have tasted flight you will walk the earth with eyes turned skywards, for there you have been and there you will long to return"
It has been 50 years since America entered the space race on January 31, 1957. After trailing behind the Soviet Union and numerous problems and failures, the United States launched Explorer I, 50 years ago. Explorer stayed in orbit until 1970, having completed 58,000 orbits. In honor of the date, I have included a cockpit video from the Shuttle Columbia take-off to enjoy. KTVZ is reporting that Southwest Flight 485, bound from Portland, OR skidded off a taxiway in Spokane, WA. All 118 passengers aboard the flight were uninjured and were shuttled to the terminal. The airport shut down operations until crews could move the Boeing 737, which was obstructing a taxiway. The plane was moved at about 4:30 p.m., and flights resumed shortly after 5 p.m.
A Cessna 172 flipped in deep snow while attempting to land at Beaver Marsh Airport (reported as "Beaver Marks" by KGW). Reports have stated that the snow on the runway was 3 feet deep and as soon as the Cessna made contact, it flipped over and came to a stop. The 3 emerged without serious injuries. The pilot, William Boyd, was from Hillsboro, Oregon. Snow In The "Big City"
I took these pictures and stitched them into a panorama using the free Windows LivePhoto Gallery. It works SO easily for stitching photos. It seems that the RV-12 is coming closer to being a flying RV. According to the update, "Currently, landing gear tests are underway (there are several tests required). These are the last tests necessary, and once this hurdle is cleared, progress on the new airplane (“flight article” in engineer-speak) should accelerate." Maybe my predicted date won't be too far off...? I was perusing The PapaGolf Chronicles and came across this great video. It shows preflight, takeoff, stalls, turns and landing for the P-47. Great stuff from WWII. How Difficult Is It To Learn To Fly? How Much Does It Cost? I have been asked those questions, countless times, by my non-flying friends. There are no simple answers and, as always, your results may vary. I have always felt that anyone who can drive a standard transmission automobile is far ahead on the learning curve when obtaining your pilot license. In a standard transmission you are using your left hand to steer (American drivers) and shifting with your right hand. Your left foot operates the clutch and right foot deals with brake and throttle. Lots going on, but most people who drive a standard shift don't really think about all that is going on. Flying isn't really too different. In an airplane, your left hand is typically flying the airplane and your right hand is dealing with the throttle. Your feet handle steering and braking on the ground and the rudder in the air. Yes, you heard right...you steer with your feet on the ground. On my very first lesson, Jerry (my instructor), let me taxi the plane out for takeoff. I knew that I was supposed to steer with my feet and at the first turn, I casually threw the control yoke to the right and freaked as the plane continued straight ahead forward. Old habits die hard. I pushed my toes down hard and the plane screeched to a halt. Oh, have to mention that unlike a car, a plane has 2 sets of brakes. There is a separate brake on each pedal that are operated by pushing at the top of the pedal with your toes (toe brakes). The left brake controls the left wheel and the right brake controls the right wheel. Being able to lock one wheel allows an airplane to pirouette around a single wheel. The easiest part of flying is...well, flying. A plane is designed to fly. Hit the throttle and keep the plane in the center of the runway and it will basically fly itself off. The hardest thing for me to learn was the landing. You are trying to do exactly opposite of what the plane was designed to do. Making a good landing seems to be the bane of both low time and high time pilots. The logical thing to do if coming in too high for a landing is to push the control yoke forward. Logical...no? Go out to your local airport and watch as pilots come in high and then shove the controls forward to dive at the runway. Now, watch and see how far down the runway those pilots are when they finally touch down. What happened? They never learned that the control yoke is for speed control and the throttle is for altitude. When a pilot pushes forward on the control yoke, the speed increases, the air going over the wings speeds up, increasing lift and they have to burn off that excess speed and lift to touch down. The trick to a good landing is to have your speed set well before landing. Then, use the throttle to increase or decrease the rank of descent. I learned that and soloed after less than 9 hours (15 hours is typical). Speaking of hours brings us to the topic of cost. Remember HOURS = COST = HOURS. So...we can't do much to control the cost of rental and instruction. Those are fixed costs. The only way to save money is to control the hours. The FAA mandates in FAR 61.109 that a minimum of 40 hours of flight is required to obtain your pilot license. Of that, 20 hours has to be with and instructor. Typically, your instructor will cost as much, or more per hour than the plane you are renting. Now the typical pilot completes about 71 hours before obtaining his/her license. Given that the standard, going rate for 20 hours of dual and 20 hours of solo runs about $4,462.83, you can see how additional hours would greatly increase the cost of learning to fly. Here is what I did. I walked into my local FBO and plopped a couple of thousand dollars and told them to, “let me know when it runs out.” I took my first lesson on January 2nd. I soloed on January 9th. Again, with slightly less than 9 hours. Think about when you were learning to drive a car. If you only drove for an hour or so, every month or so, how much would you retain between lessons? Not too much. By shoving all of your training into the first month, the retention rate goes way up, your skills develop quickly and you take less time to solo. Remember HOURS = COST = HOURS. 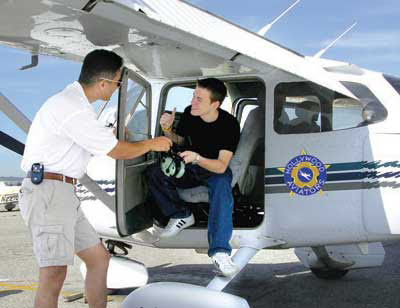 Once you have soloed, you are flying alone and paying less than half of what you were paying with the extra body on board. The day I went for my check ride (July 9th) to get my license, I had exactly 20 hours of solo and only 19.4 hours of dual. I had to taxi Jerry, verrrry slowly, down to the run-up area and wait for that last .6 hours to click off the Hobbs. My check ride was smooth and was a real blast. The FAA examiner said, “I'm impressed!” and that was it. So, the question is up to you...how much does it cost to learn to fly? $4,462.83 or $6,350.83? If you do it right, it can be affordable, fun and easy. This was sent in by a reader. Thank you, Angela, for sharing this video. These photos were taken from KGW straight off the television. I apologize for the poor quality, but this is showing a house near Vancouver Lake that appears to be completely destroyed. The severity of the tornado is being reevaluted in light of the damage reports coming in. The news is reporting that the pictures are from the Vancouver Lake Crew and is being reported as a "total loss". In addition, all of the boats ($250K worth of donated boats) are gone. If you have any photos to share, please e-mail them to me and I can post them here. Please include the location of the photos so I can show them in Google Earth. I'm not going to go into the whole global Warming debate...but, you gotta admit this is some pretty freaky weather. There are reports of some damage coming in right now and there are some pictures of damage on the local television stations. KGW has a slideshow of photos sent in by viewers. Here is a link for past tornados in this area and here is a link for tornado risks in your area. At this time: There is a recent report of a funnel cloud in SW Portland and an uncomfirmed report of a tornado touching down in Hazel Dell, WA. The Hazel Dell report has been changed to a funnel cloud. The tornado that touched down is being reported as an FØ-F1. The National Weather Service has issued a preliminary report of the tornado as an F1. This is a great video with a pilot's eye view from the Shuttle Atlantis during landing. It requires Windows Media Player and will open in a new window. I suggest that you go to full screen on the video. While flying in Google Flight Simulator, it is very difficult to maintain an absolute heading for long-distance flights. There are no navaids in this bare bones simulator. I find that I must exit and then enter the simulator to determine where I am. A way around this is to plot your course using the ruler function before entering the simulator. When you enter the simulator, it will leave the rule line as your course. (Click on the picture to view an image of the rule line while flying) This was a flight from LHR to 6K5 and I was able to fly directly without having to leave the simulator at any time. A single seat, wood and fabric airplane completed its inaugural flight late in 2007 and is expected to be flying as a commercial version in 2 years. The Electra flew 48 miles on the first run around the French Alps. The Electra is powered by high capacity Li+ (lithium ion) batteries. The batteries weigh approximately 103 lbs. As reported by businessgreen.com, "The electric motor and batteries are expected to cost between €10,000 and €15,000, but fuel costs would stand at around €1 per hour of flying, compared to €60 for petrol-driven aircraft." Gazette.net has identified the pilot whose plane crashed on Saturday as Patrick Dean of Clarksville, MD. According to the news article, Dean was flying his SlipStream homebuilt when it developed "mechanical problems". The article goes on to say that the injuries were "non-life-threatening ". We wish a speedy recovery to Dean and to the unidentified person who was injured at the time of the crash. Live ATC at LAX. And, for you folks on the East Coast, here is Live ATC at JFK. Click on any aircraft to see details of that aircraft.I was watching this morning for LA-LA land and there seemed to be something going on in downtown LA-LA. Had planes circling at 1,500 and 1,900 feet. Sounds like newschoppers to me folks. The sight lines for Avalon always seem to give pilots consternation. I found it fairly easy in a PA28-161. I watched a number of pilots coming in and almost each and every one came in low and had to add power...then, they landed long. Yes, it is hard to ignore the cliff on approach, visually. For pilots who can't routinely nail a spot landing, this airport is not for you. I used to fly groups up to Calistoga after working the graveyard shift. (Typical load was 3 young *single* nurses. It was great to be a heterosexual in the Bay Area). The runway was short and narrow. I could get that plane down and stopped in the first 1/3 of the runway. The nurses would rent bikes and spend the morning wine-tasting. I couldn't taste, being PIC, but could reload my wine cellar from brands I already knew. If you can land at a short strip like Calistoga, then Avalon is a no-brainer and worth the trip. Commentary: For would-be pilots, the advantage to learning at a smaller airport is that you will feel more comfortable landing at smaller airports. The downside is your radio skills will not be at par with pilots who learned in busy urban airports. For me, the big airports hold nothing to my heart and flying is all about the smaller airports. Your results may vary. According to The Seattle Times, one of the survivors from Saturday's crash of a PA-31 Chieftain stated that the door of the nose baggage compartment popped open shortly after take-off. A baggage door opening shortly after takeoff can be a terrifying event, but every good pilot knows that first and foremost, when dealing with any inflight emergency, is to fly the plane first. In this case, it cost six people their lives. CARACAS (AFP) — Navy vessels and helicopters resumed a search Saturday off the Venezuelan coast for a twin-engine plane that crashed into the Caribbean with 14 people aboard, including eight Italians. The plane took off Friday from Caracas bound for Islas Los Roques, an exclusive tourist destination 168 kilometers (104 miles) north of the Venezuelan capital. At around 10:00 am (1430 GMT) Friday the pilot reported problems in both engines of his Let 410 aircraft, Venezuelan authorities said. The plane at the time was about 38 kilometers (23 miles) from the island chain. The plane was carrying eight Italians, five Venezuelans, a US and a Swiss citizen, Civil Protection officials said. The rain and rough seas in the search area are making rescue operations more difficult, officials said. ANCHORAGE, Alaska (AP) — A small plane crashed Saturday in waters off Kodiak island in southern Alaska, killing six of the 10 people on board, authorities said. The Piper Navajo Chieftain crashed soon after take off at 1:48 p.m. in shallow waters, according to the Coast Guard. The pilot radioed that he would be turning the plane around, according to Clint Johnson, an investigator with the National Transportation Safety Board. "Just after takeoff, the pilot reported an undisclosed problem to tower," he said. "We don't know why he tried to come back." A private float plane from a fish processing company pulled four people from the wreckage. One person died trying to swim the roughly 300 yards to shore, said State Troopers spokeswoman Megan Peters. The pilot, 50-year-old Robin Starrett of Kodiak, was killed, as were five passengers from the small community of Homer, Peters said. They are Stefan F. Basargin, 36; Pavel F. Basargin, 30; Zahary F. Martushev, 25; Iosif F. Martushev, 15; and Andrian Reutov, 22. The charter flight operated by Kodiak-based Servant Air was headed to their town on the Kenai Peninsula, a short 100-mile ride to the northeast. 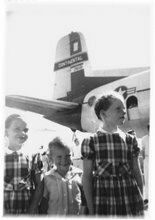 Two of the survivors were flown to Anchorage for treatment. One has been released from the hospital in Kodiak and another remains there in good condition, said John Callahan, a spokesman for Providence Health and Services Alaska. No information about anyone on board has been released pending notification of family members. The plane was headed to Homer, a quick flight north, on the Kenai Peninsula, authorities said. The aircraft is owned and operated by Servant Air, a local company that serves half a dozen communities on the large island in south-central Alaska, 225 miles southwest of Anchorage. 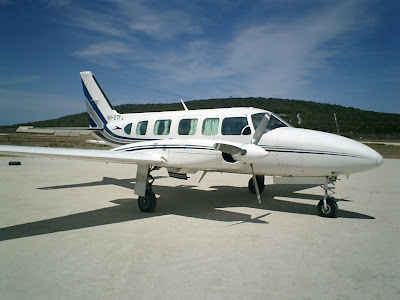 The flight service started in 2003 as a one-plane operation and has grown to a fleet of seven small aircraft. Ted Panamarioff, a spokesman for Servant Air, said the deaths are a major tragedy for the small rural communities, where air travel is a regular part of life. "We're all family and friends here," he said by phone from Kodiak. "We knew these customers for several years. This is really, really tragic." Kodiak and Homer each have populations of roughly 6,000 people. The pilot of a small plane that crashed in a wooded area off of the Baltimore-Washington Parkway in Laurel was taken to the trauma center at Prince George's Hospital Center with serious injuries, according to Prince George's County Fire and Rescue. There were no other passengers in the Cessna, which went down at the border of Prince George's and Anne Arundel counties just north of Route 197 on the northbound side of the parkway about 4:30 p.m. yesterday. Authorities did not release the pilot's name last night. Sgt. Robert Lachance of the U.S. Park Police, which handled the initial investigation because the land belongs to the National Park Service, said it appears the pilot was having mechanical problems before the plane went down. Hazmat units were called to contain fuel that leaked from the plane, a Prince George's fire spokesman said. The pilot of an airplane carrying passengers to Logan Airport reported today that a model rocket appeared to have been fired toward his craft, a Federal Aviation Administration official said. The pilot of AirWisconsin flight 180A saw what appeared to be a spark or firework in front of the plane around 12:26 p.m., after the jet had descended to 500 feet and was preparing to land, said FAA spokeswoman Holly Baker. The model rocket did not actually hit the aircraft, and the plane landed safely, Baker said. Trooper Eric Benson, a state police spokesman, said the plane was flying over the Winthrop-Revere area at the time and the rocket was believed to have been fired from the Belle Isle Marsh. The salt marsh is about a half-mile northeast of two of the airport's runways. Benson said state police were investigating. I've posted these before but, with the horrible weather, I thought I'd repost. I will also add them to the permanent links on the right side. John Scurlock has some of the most awesome photos of the peaks of the Pacific Northwest. He uses his RV-6 to take some of the most outstanding pictures I have seen. Visit his website here. According to the Nevada Appeal newspaper, the search for Steve Fossett "will continue in some quarters". It has been reported that a camera with 100 megapixel resolution is to be used in the search. The resolution and the software to interpret the results will allow searchers to see pieces as small as a folded napkin. "I came across your blog today and enjoyed it. I wanted to point you to the top article on my blog that urges the FAA to adopt more aggressive goals for general aviation. You’ll find it at www.maxtrescott.com if you’re interested in linking to it." Max Trescott is an aviation author in the San Francisco Bay Area who has written aviation safety books and has appeared on radio. He also publishes an "online newsletter [snip] to promote safe flying with emphasis on regional differences in flying risk factors." I had my only, true, near-miss at SJC. I was cleared for final for 30R and suddenly I glanced to my right and saw a Cessna 172 turning right base for the same runway. The pilot never glanced at me and was intently staring at the runway to his right. I used some "non-pilot" verbiage on the radio and only averted a collision when I chopped power and dove under him. The tower finally switched to RHV tower frequency and advised he was not at RHV, but at SJC and to climb immediately over the taxiway. The pilot leveled out and continued straight down the centerline of 30R. I screamed at the tower something to effect of wanting his reproductive organs to be removed and to get his N-number. Added: Max Trescott's article is really a good read and goes into some of the causes of accidents in the G.A. community. I was especially interested in the fact that 21% of all accidents happen at night even though they only account for 5% of the total flight time. Since I worked graveyard shift at SCVMC in the E.R., most of my flying on my nights off...was at night. I really believe that flying at night is akin to flying IFR and needs a certain skill set. During my flight training, Jerry had me fly under the hood and shoot ILS approaches to minimums. This was for my Private ticket. Thanks Jerry! 1) CAVU at night or "no-go". 2) Dual NAV's and dual COMM's (working) or "no-go". 3) Mandatory oxygen over 6,000 feet. Seem extreme? I never thought so. The fact that I never had a single moment where I felt any question as to the safety of the flight and never even had an incident bears out my rules. The cockpit is becoming so different than what I learned in. I can remember peeking into the cockpit of a United 707 "awhile" back (yeah...I'm showing my age) and being awed with all the "steam gauges". Modern G.A. aircraft have much more capability now, than that 707 back in the days. VistaNav has come out with a 3D/2D tablet PC for your plane. Click on the links below to view the video (requires Windows MediaPlayer 10®). How would you like to recieve 6 FREE issues of AOPA's Flight Training Magazine? What's the catch? Right? No catch...no credit card...nada...zip...zilch...Ø. Home address, name and e-mail. That's it! (I will caution that AOPA will tend to fill your mailbox, but heck, we all like reading flying stuff...right?) The free membership also allows your to access parts of the website reserved for you. 2/17/08 - Vans Aircraft will announce that kits for the RV-12 are ready to ship. Their entire stock is purchased by 2/18/08. 2/25/08 - The first kit-built RV-12 takes to the skies. A spokesman for Vans states, "Maybe we made it TOO easy...?" 3/1/08 - Vans Aircraft announces that they are hiring an additional 937 employees to keep up with demand for their aircraft. 4/30/08 - Due to the huge numbers of RV-12's flying, the President announces that all of the billions of tax dollars paid by taxes from G.A. pilots will be used to build 1,000 new, regional airports. The Dow Jones jumps 948.4 points in a single day on the news, in anticipation of the increased revenue this will generate. 7/9/08 - A new aircraft engine is designed that flies on methane derived from cows. The tanks, to hold the methane, are 5 pounds in each wing and hold enough fuel to fly non-stop from 6S4 to RSW. Tillamook, Oregon becomes the center of the aviation world and farmers have to be on guard for poop poachers. 9/3/08 - Airbus announces a new jet that seats 1,790 passengers in 5 levels. They plan to invest €800B for development of the aircraft. They fail to realize that the plane needs 27 miles to get airborne and that no airport will be able to handle takeoffs and landings. In a bid to salvage the project, they announce that they will seat only 500 in lavish suites with hot tubs and large screen TV's in each room and start their own airline...MileHigh Airlines. The management gives themselves a €127M bonus for their great thinking. 10/12/08 - A new panel instrument will be developed that will emit a 240 db shriek and will spray ice water into the face of pilots 15 minutes before they run out of fuel. The effect of this is to totally eliminate fuel starvation crashes. The same company will also announce that another flight instrument is being developed to avoid inadvertent flight into clouds by VFR pilots. They announce that they are having developmental problems. It seems the hammer that knocks the pilot in the head tends to render the pilot unconscious. They claim confidence that this problem can be solved by the end of the year. 11/7/08 - The NTSB will disband due to the fact that there was not a single aircraft accident this year. 12/12/08 - Vans announces that the 700th RV-12 rose into the air today. Cessna and Piper file for Chapter 11 on the release of the news. 12/25/08 - You will get a new plane for Christmas. Wishing you a great 2008! Do you have any predictions?